"Benny" is a rogue miner. 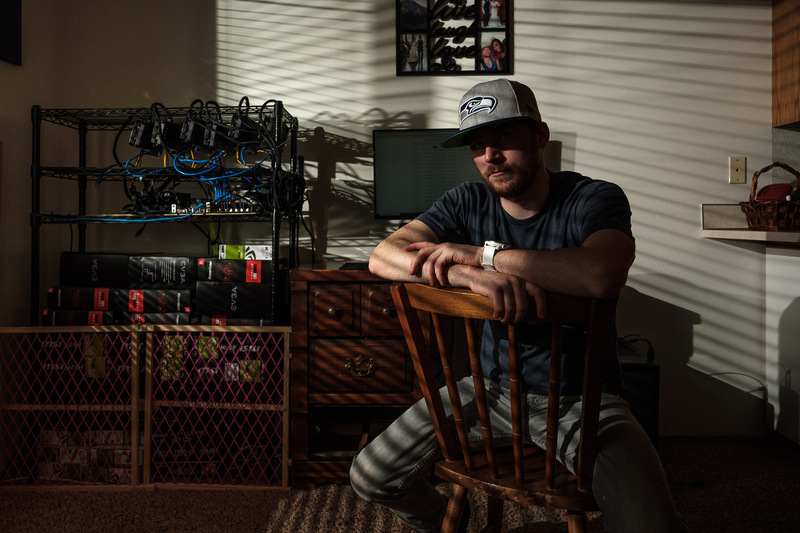 He has hacked together arrays of graphics cards to mine various crypto currencies. Not only have they already paid for themselves and are provided family income, but he uses them to heat his home completely. -- Choosing to leave his face in shadow, "Benny" sits for a portrait.